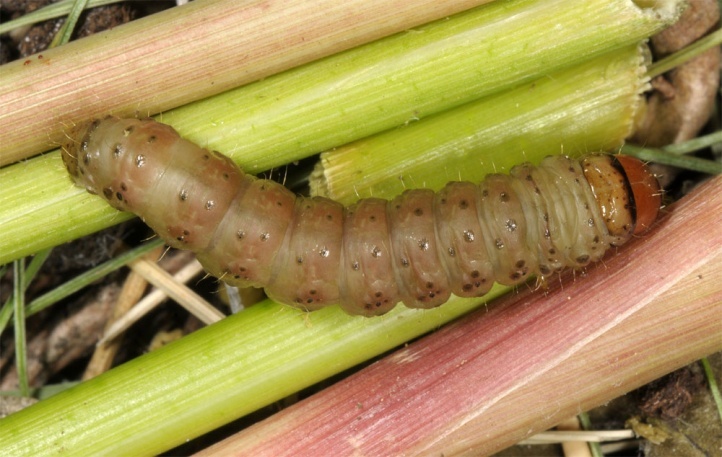 The caterpillar lives inside of stems. 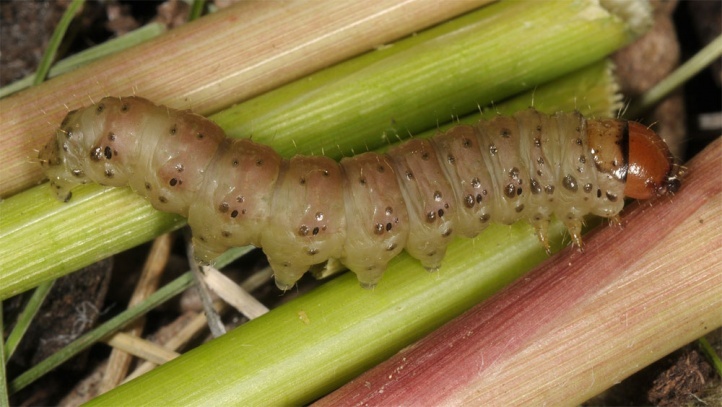 I found about 10 caterpillars in May 2011 exclusively in shoots of Dactylus glomerata on a south-facing edge of the forest to moderately moist meadows (river Iller near Illerbeuren). Grasses are probably the main host plants. In addition, in literature are mentioned numerous perennials: Rumex, Filipendula, Tussilago, Petasites and others. Hydraecia micacea is found in damp to mesophilic or even slightly dry herbaceous and grass-rich, little mown habitats such as forest edges, stream fringes, fens, ditches, embankments and forb communities. The egg hibernates. 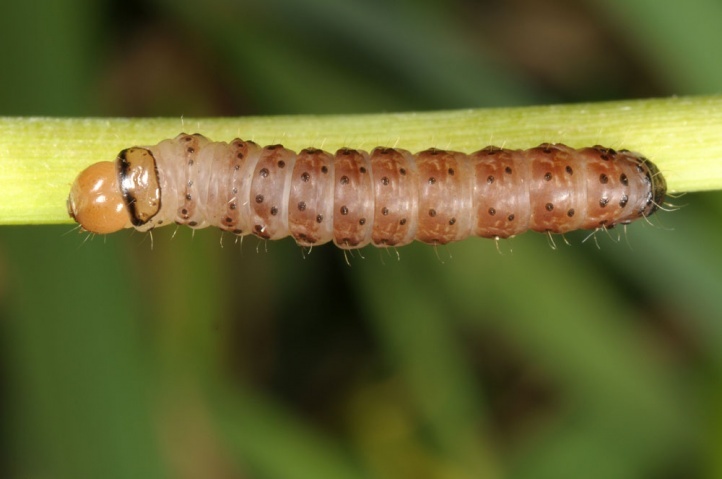 The larva can be found from April to June. 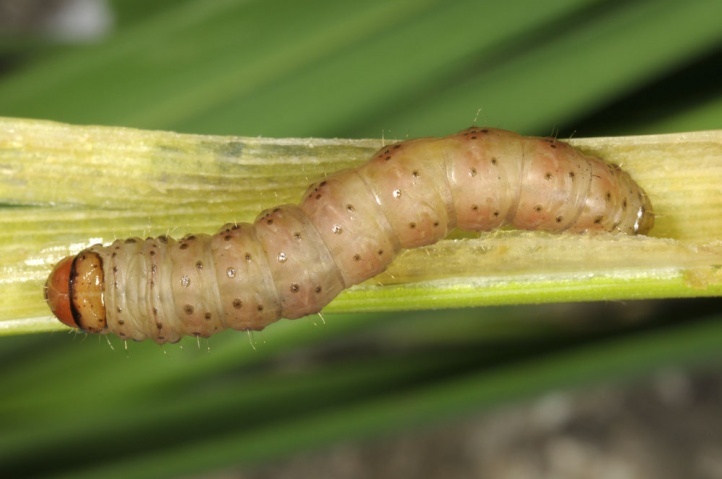 In early to mid-May 2011, I found them already half-grown (near the river Iller) and close to the ground in grass stems, which they had hollowed out and that showed the typical feeding traces (i.e. wilting central leaves) similar to Apamea ophiogramma, Mesapamea or Oligia. 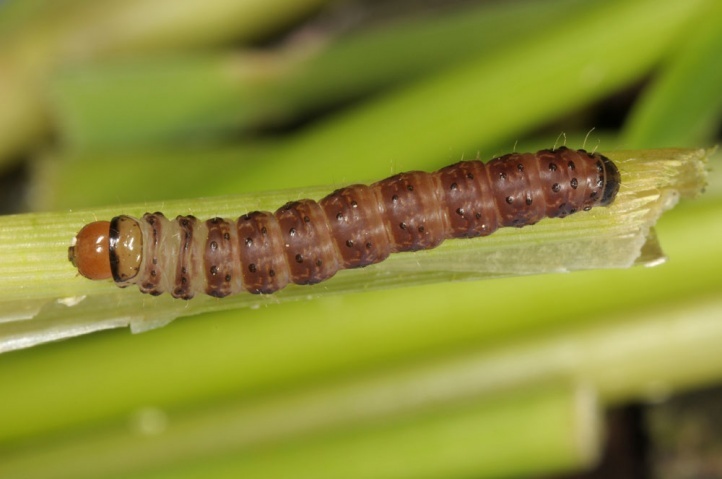 Presumably, the older caterpillars feed in direction of the rhizome, but this would have to be examined more closely. 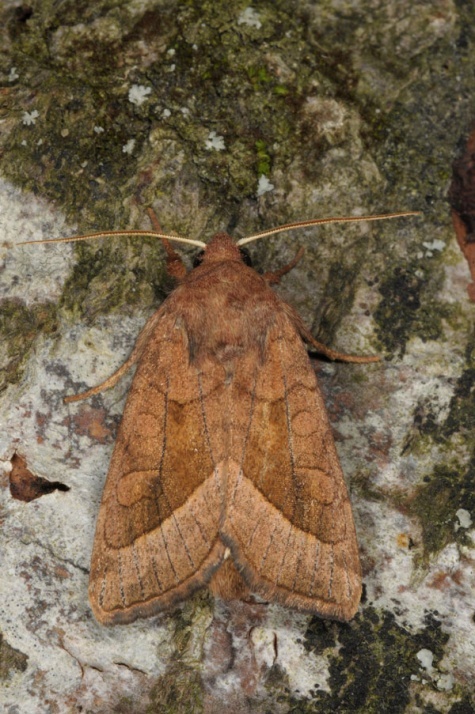 The moths fly from late June to early October, with peak in August. 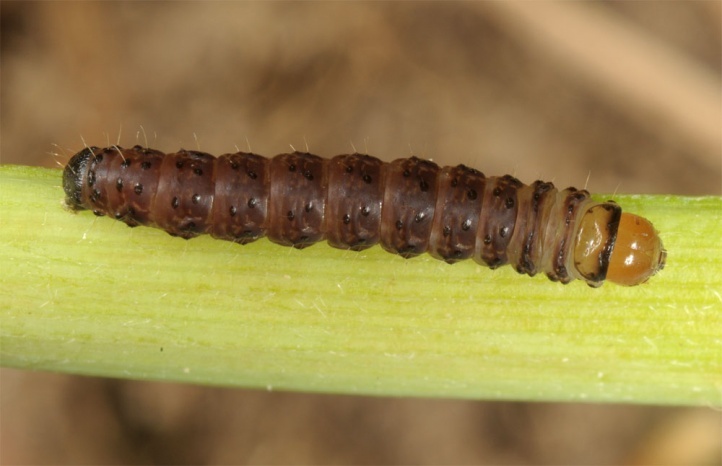 Hydraecia micacea is not endangered. 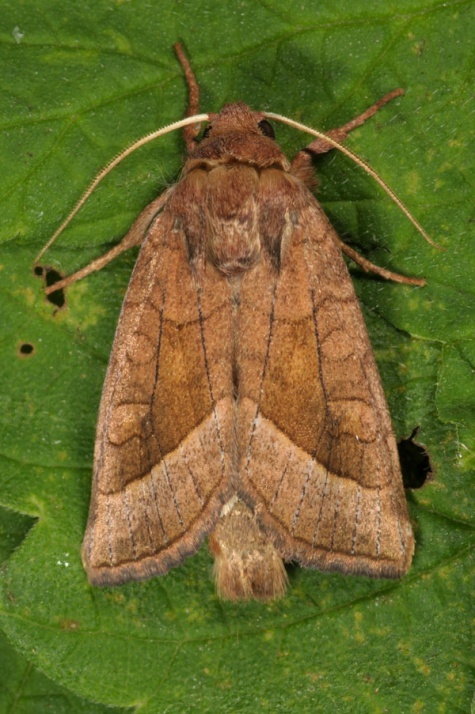 Hydraecia micacea is widespread in most of Europe (except the southernmost areas) and in temperate and northern Asia to Japan. Hydraecia micacea was accidentally introduced to North America.